When Roland Förster and Alexander Link accompanied the group of distributors on their training trip to Brazil last year, they encountered a project in Salvador da Bahia that moved them deeply. 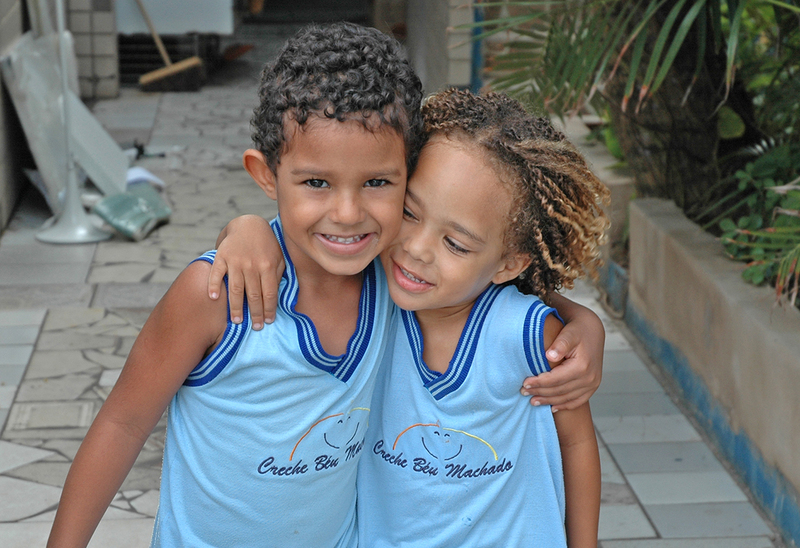 The “Creche Béu Machado” in Boca do Rio, a favela on the outskirts of Salvador da Bahia, is a day-care centre that looks after children from single parent homes who would otherwise have to fend for themselves on the streets. It is financed exclusively from donations. ENERGETIX spontaneously made the decision to include this worthy project in its charity activities along with the Hugo Tempelman Foundation. That’s why the funds that ENERGETIX usually puts aside for its Christmas gifts to distributors were in 2013 sent to the aid project in Salvador da Bahia. The total donated to the day-care centre currently runs at a magnificent 5,100 euros. If you also want to help: any donation is greatly welcomed by the “Creche Béu Machado”. Independent ENERGETIX distributors Dominique and Roland Strauß are now advising on and selling the ENERGETIX product line not only at jewellery presentations, fairs and markets. The committed couple also presents the ENERGETIX collection in the 50 m² shop they have just opened in the Baden-Württemberg town of Jestetten, Germany. Our hearty congratulations! A particularly practical feature: the premises also include an upstairs training room. Dominique stresses that they will continue to focus on jewellery presentations but that the shop also offers them the additional possibility of showing attractive decoration ideas to new distributors. The opening of the shop was an unqualified success and promises an auspicious future, with lots of enthusiastic customers and newcomers to magnetic jewellery..
is today the dedicated contact for all distributors in the country. 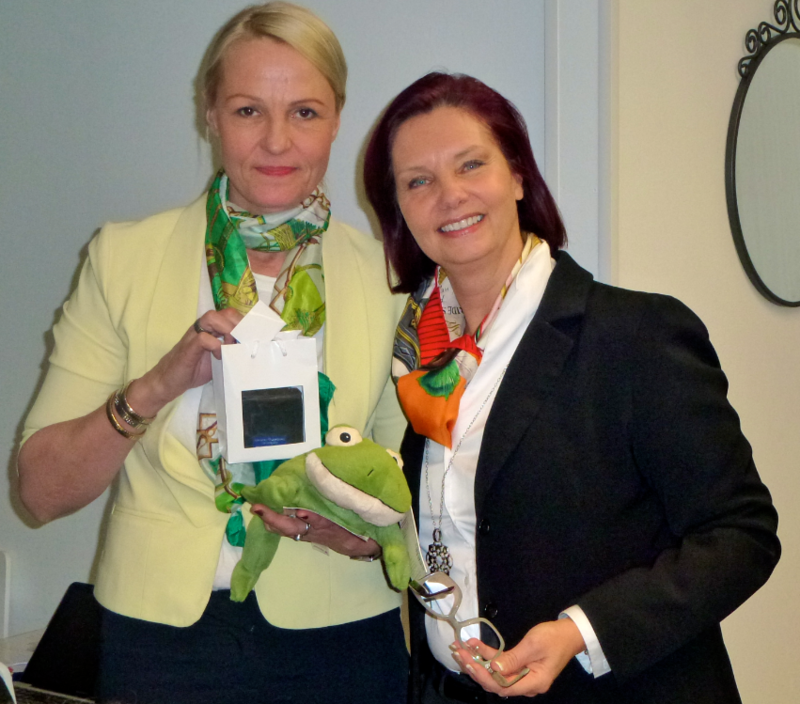 In conjunction with Marianne Kostamo, she is now responsible for ENERGETIX in the north of Europe. Cosmopolitan Renée Piguet travels once or twice a year to Finland to support her team there. 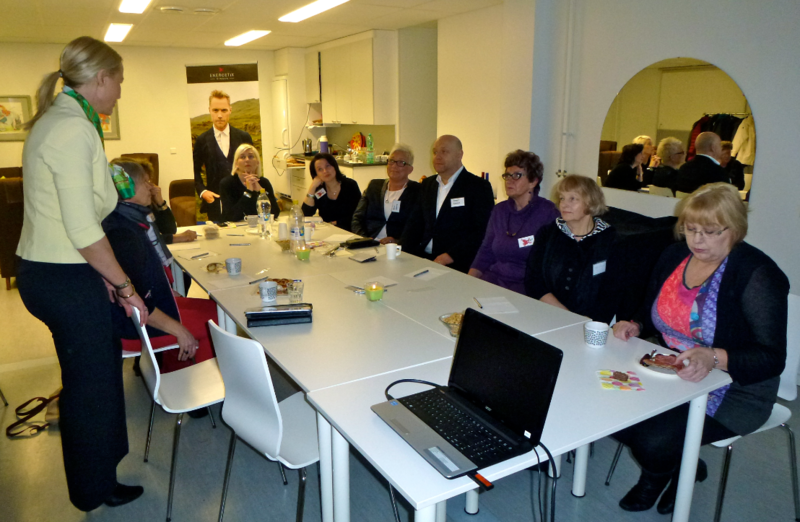 The most recent important training sessions were held in Espoo/Helsinki, Heinola and Kuopio in February 2014. These meetings were also highly successful: all in all, they were attended by around 30 enthusiastic men and women. The response to the new spring / summer collection was overwhelming. Everyone just wanted to hold the pieces, said Renée Piguet. A very good sign which was expressive of the eagerness with which the participants had been waiting to see and feel the quality of the new creations. The dynamic ladies are planning to focus even more on the special wishes and needs of the people in Finland and to organize more training sessions for them because “Finland is big”. On-line training sessions in Finnish are also to follow.